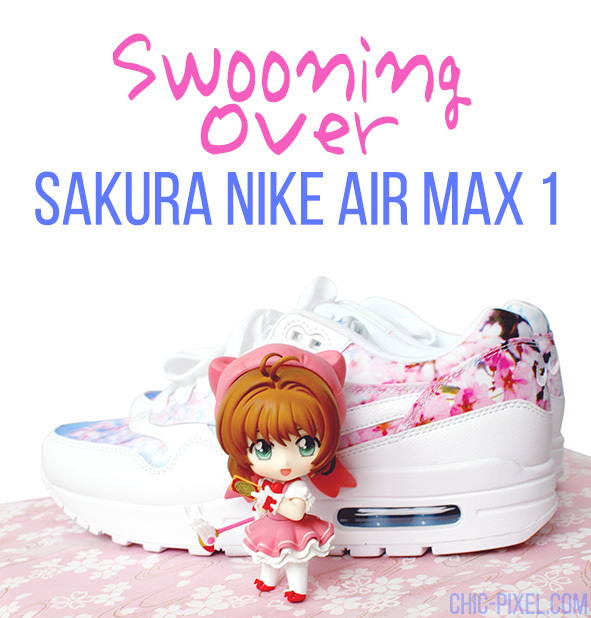 It’s not often that I purchase a pair of limited edition sneakers, but I couldn’t resist Nike’s new sakura-themed Air Max 1s featuring real photos of cherry blossoms! In honor of spring in Japan, I thought it would be fun to share some glamor shots of these gorgeous shoes. I hope you enjoy looking at them as much as I did taking them! 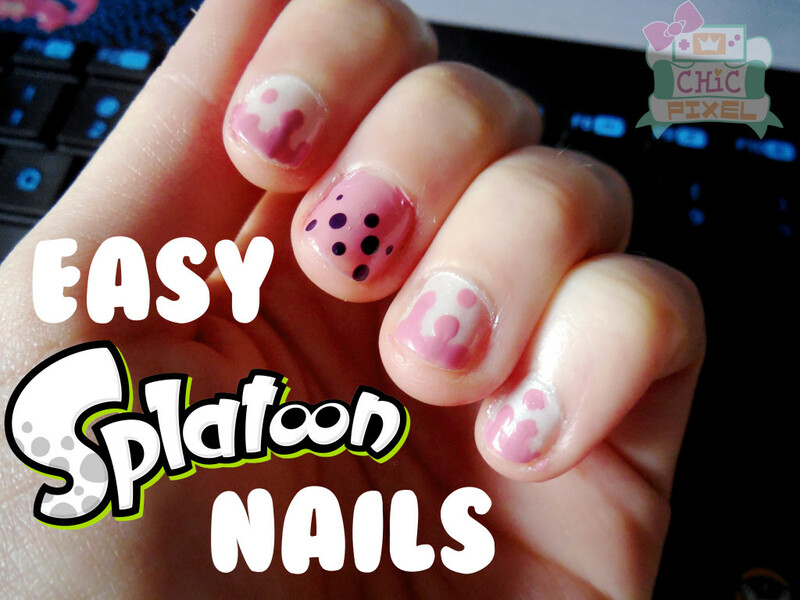 After the success of my Splatoon nail tutorial, I thought I’d try my hand at another! 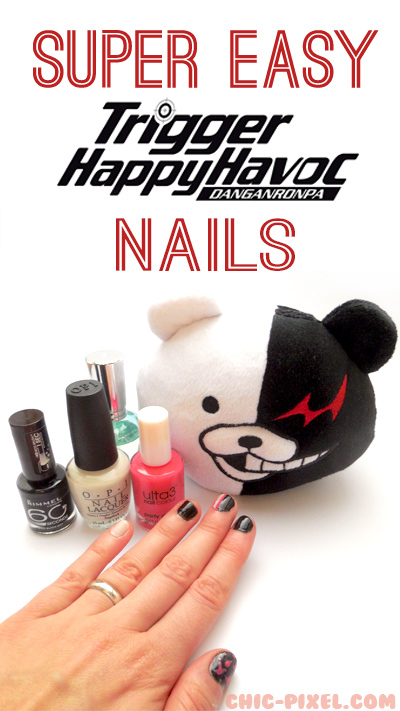 Themed nails to celebrate the release of Danganronpa Another Episode: Ultra Despair Girls earlier this month seemed only appropriate. I modeled this design after Monokuma and the stylized hot pink blood prominently featured in the Danganronpa games. This can also double as a great look for Halloween! 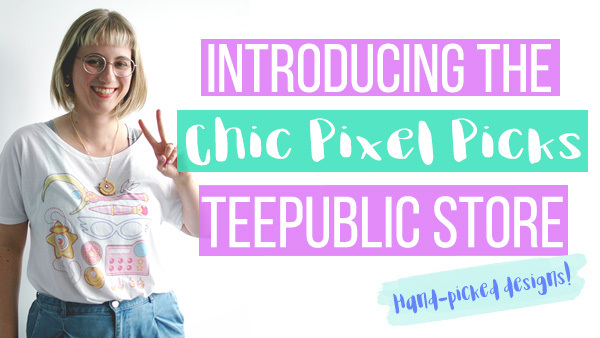 In honor of Splatoon‘s release for the Wii U this week, I thought I would live up to the “chic” in Chic Pixel by trying my hand at a nail tutorial! 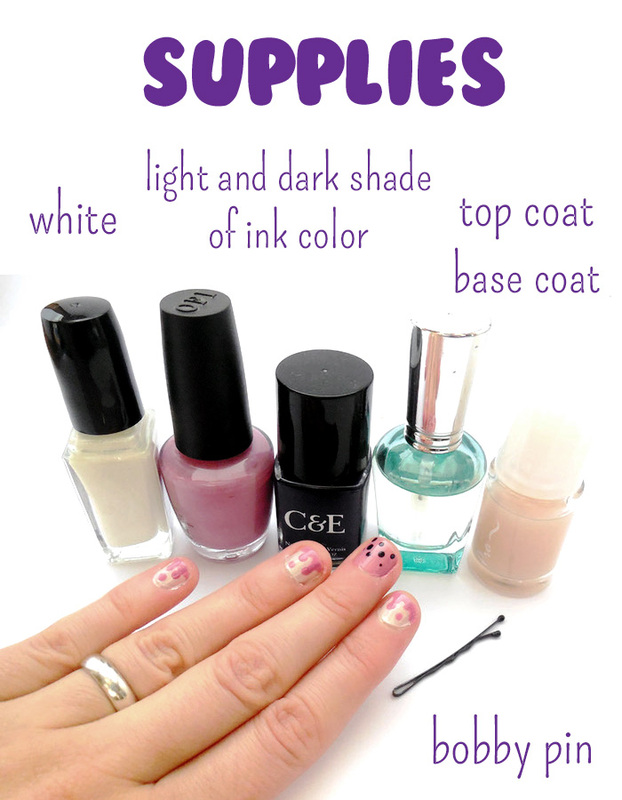 I’m not very talented at doing intricate nail designs, so I hope this easy nail tutorial (that even I can do!) will inspire some of you to try out your own designs! For supplies, you’ll need the usual top and base coats, a base color (I used white, but black would really make your ink splatters pop! ), and a light and slightly darker shade of the same color for the ink. As you can see, I went with purple (orange, green, blue, etc. would also look great! ), but I think my dark shade was a few shades too dark. The design would be even better if you can get two shades that are pretty close to one another! Finally, you’ll need some instrument to make your dots – I used a bobby pin, but a toothpick also works! Of course, if you have a dotting tool, you can also use that.